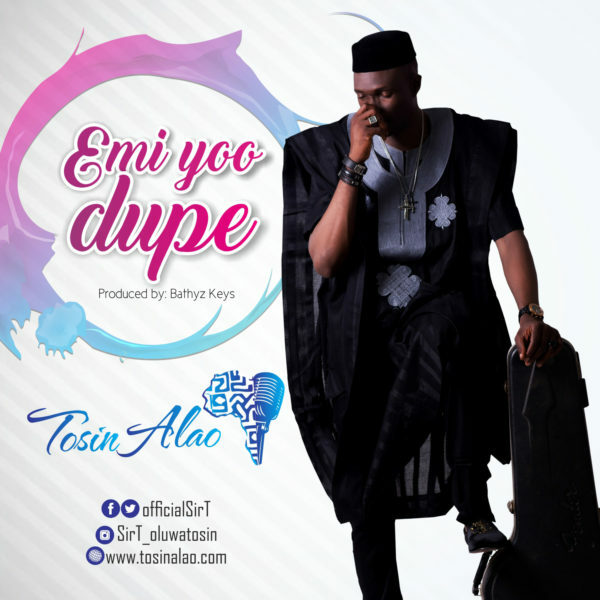 Here’s Tosin Alao – Emi Yoo Dupe new song. Dexterity Ent. recording act, psalmist, lyricist and bass player expert – Tosin Alao famously known as Sir T debuts a fresh new song entitled “Emi Yoo Dupe”. The thanksgiving tune includes a smooth and flawless highlife groove exemplified with the pith of indigenous percussion. The track is delivered by Bathyz Keyz.